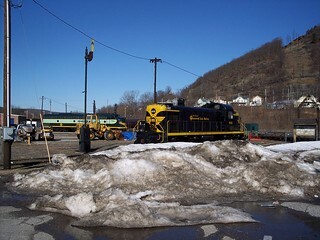 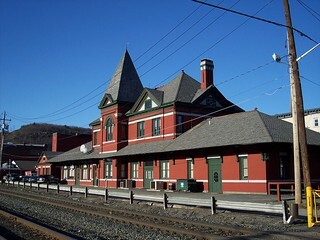 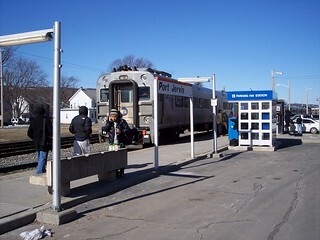 The grand old Erie station sits a bit down the line from the current Port Jervis platform. 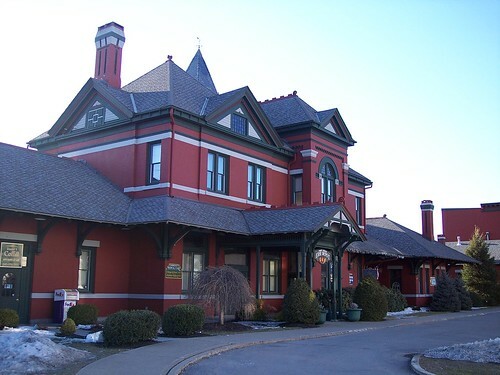 While the building is no longer used by the railroad, it's nice to see other businesses maintaining it so beautifully. 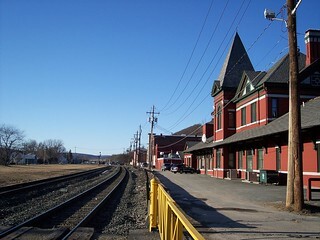 The track side of the old station. 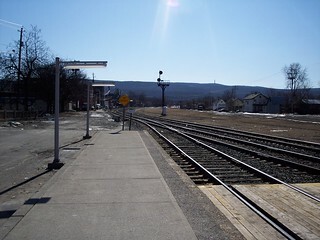 Our train to Secaucus Junction pulls into the station.